Now, almost four decades later, Filey's column has enjoyed an uninterrupted stretch as one of the newspaper’s most widely read features. 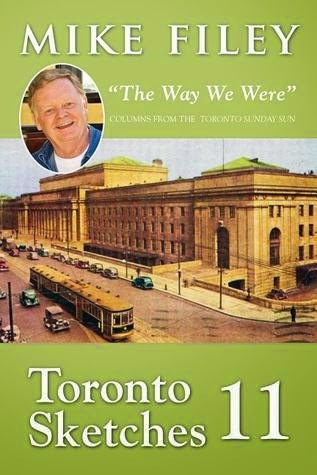 In this book, we learn about Elmer the Safety Elephant, the birth of Toronto Island, Titanic survivor Arthur Peuchen, Sunnybrook, how Yonge Street and Royal York Road got their names, transit, Little Norway, origins of Canadian Tire, E.J. Lennox's battle with city hall, the fire on the Noronic, why there is a weird jog between College Street and Carlton Street and more. In addition, he talks about Maple Leaf Gardens, which was home to the Toronto Maple Leafs from 1931–1999. 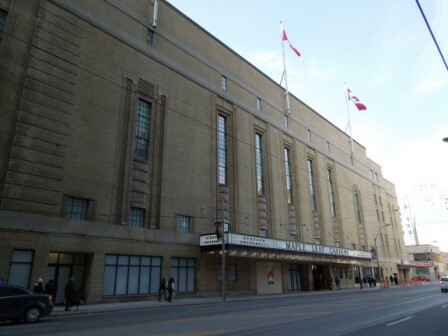 The Leafs won 11 Stanley Cups from 1932–1967 while playing there. 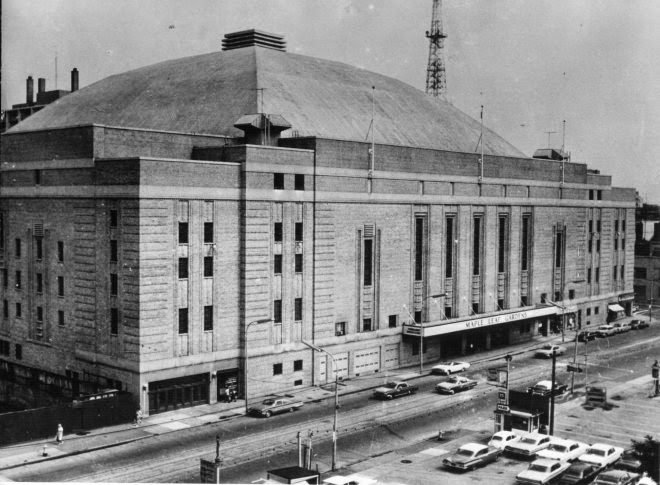 It also hosted the Beatles, The Who and Elvis Presley in concert, wrestling, boxing, basketball and more before laying dormant for about ten years. 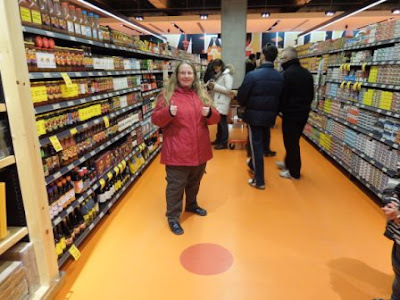 Loblaws bought the Gardens in 2004. 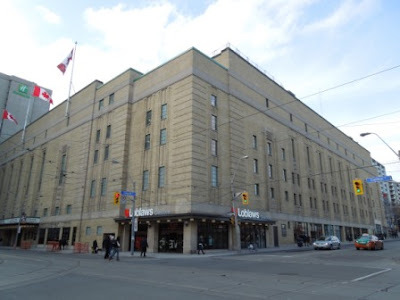 They converted the arena into a Loblaws grocery store and Ryerson University built an athletic centre upstairs. 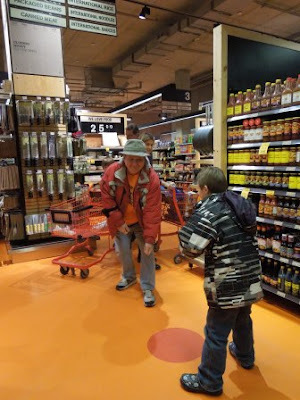 Gord and I visited it in 2012. 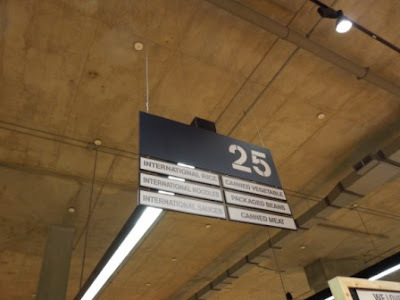 The end of aisle 25 is where centre ice was ... they've marked it with a red circle. 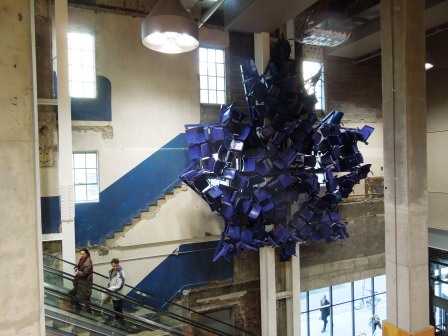 There are some reminders of what the Gardens used to be ... like a giant blue maple leaf made from the old seats from the blue section. It was an interesting book because it deals with many historical events in Toronto. 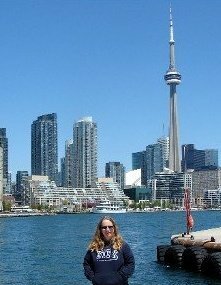 If you live in Toronto or are from Toronto, you should check it out.